For those who enjoy treating themselves to nature’s beauty, historical culture, and even a little golf while on holiday, Vietnam is the unanimous choice. The tranquil beaches of Danang; the historical pathways of Hanoi; the rocky islands of Ha Long Bay, there isn’t a part of this country that isn’t worth exploring. And when you combine that with a game or two of golf, you know you’re in heaven. With so many Vietnam golf courses at your disposal, you’ll double the fun with both leisure and play on your golf holiday. Ba Na Hills Golf Club is the very first golf course that was designed by Luke Donald in the world. This 18-hole par-72 mountainous course offers stunning vantage points so golfers can enjoy the beautiful valleys while taking in the natural topography during their game. The course has different elevations and is fringed with natural features like meandering streams and hardwood trees. Nestled just off Danang Beach, Montgomerie Links Vietnam is a spectacular 18-hole par-72 course designed by Colin Montgomerie. Bringing together a stunning backdrop with vast greens and undulated fairways, this course is considered one of the best in Asia. 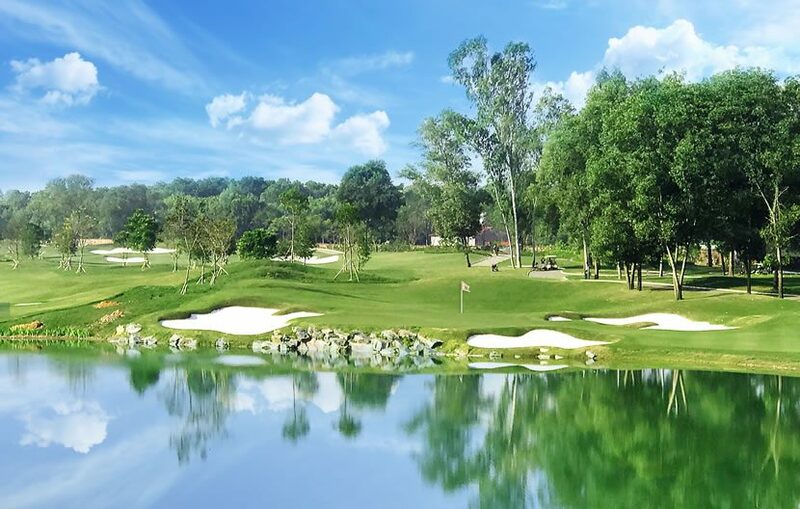 No trip to Hanoi is complete without a visit to the 54-hole BRG Kings Island Golf Resort. The Kings Course is the latest 18-hole course to open and features a modern layout with intricate bunkers and large fairways. The Lakeside Course is set along the lake with 14 holes of water play. The Mountainview Course offers gorgeous mountain views, along with glimpses of a nearby ethnic village. The course meanders through jungles and hardwood forests and is one of the most exciting courses in all of Vietnam. The Chi Linh Star Golf & Country Club is a 27-hole golf course built to challenging international standards. Set within an impressive valley and fringing forested hills, lakes and creeks, this course brings water into play on several holes. The thick rough presents a challenge even for professional golfers making this course an exciting experience for beginners and accomplished players. Plenty of Vietnam golf holiday packages are available to suit different tastes and budgets. Check them out and choose one that’s most ideal for you on your next holiday.